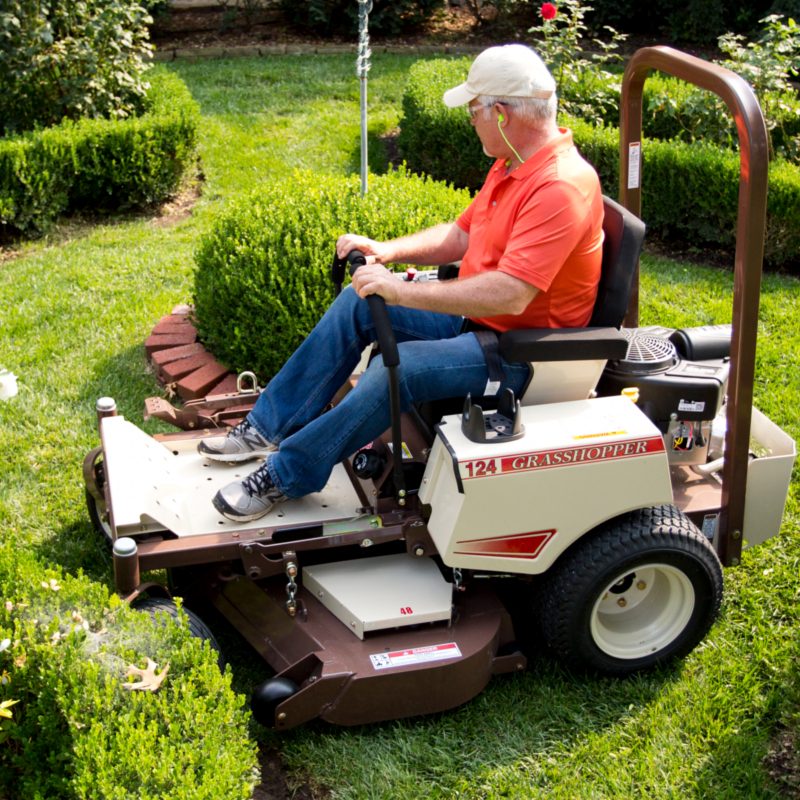 The Model 124V is the perfect introduction to Grasshopper comfort, quality and durability for residences or landscape professionals just starting out. 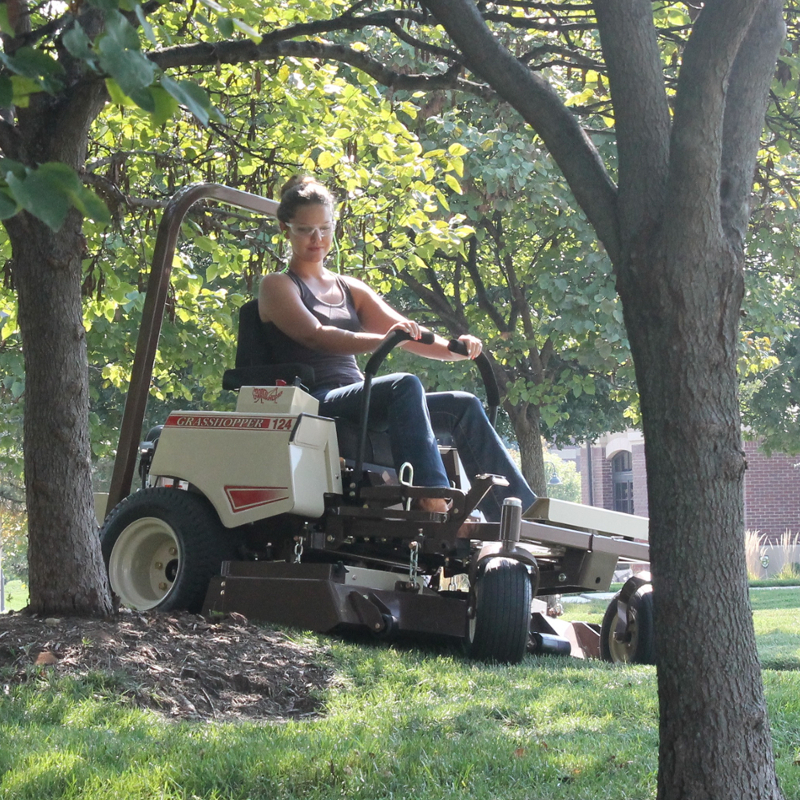 The smaller size of the Model 124V zero-turn riding lawn mower combines powerful performance with a compact design, professional-grade features and zero radius maneuverability that is ideal for tight quarters mowing. Commercial Use: 2-year or 500-hour (whichever comes first); limited warranty covering parts and labor. 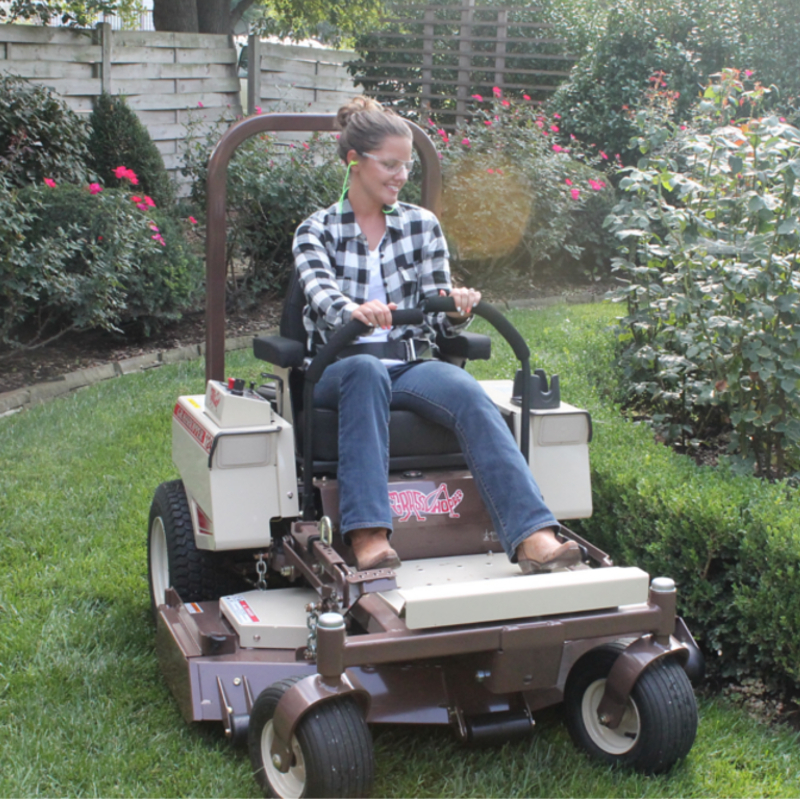 Residential Use: 4-year or 500-hour (whichever comes first); limited warranty: First two years covering parts and labor, last two years covering parts only. Deck Construction Double-layered 10-gauge plus 10-gauge formed-steel spindle plane 0.269 in (6.83 mm) thick with 7-gauge skirts. Double-layered 10-gauge plus 10-gauge formed-steel spindle plane 0.269 in (6.83 mm) thick with 7-gauge skirts. Anvil-edge design with 0.5 in, (12.7 mm) reinforcement on front edge of deck. Deck Spindles Sentry™ Spindle System, 2.5 cm (approx. 1 in.) O.D. shaft. Spindle head designed to eliminate fiber wrap. Double bearings, non-greasable. Sentry™ Spindle System, 2.5 cm (approx. 1 in.) O.D. shaft. Spindle head designed to eliminate fiber wrap. Double bearings, non-greasable. Operator Seat Ultimate Suspension Ride (USR) deep-cushioned, high-back, foam-padded, scuff-resistant CoolTemp Cordura®-covered with padded lumbar support and armrests. Ultimate Suspension Ride (USR) deep-cushioned, high-back, foam-padded, scuff-resistant CoolTemp Cordura®-covered with padded lumbar support and armrests. Transmission Type Design-matched hydrostatic system with in-line cooling fans. Fully hydraulic, integrated Parker HT Series transmission with variable displacement piston-type pumps and high-torque wheel motors for each drive wheel. Design-matched hydrostatic system with in-line cooling fans. Fully hydraulic, integrated Parker HT Series transmission with variable displacement piston-type pumps and high-torque wheel motors for each drive wheel. Transmission Filtration Internal field-serviceable filter / No break-in oil change required; best-in-class service intervals with CoolTemp Hydro-Max™ fluid. Internal field-serviceable filter / No break-in oil change required; best-in-class service intervals with CoolTemp Hydro-Max™ fluid. Steering One- or two-hand operation with adjustable HydraSmooth™ dual levers that automatically return to neutral from either forward or reverse position. One- or two-hand operation with adjustable HydraSmooth™ dual levers that automatically return to neutral from either forward or reverse position. 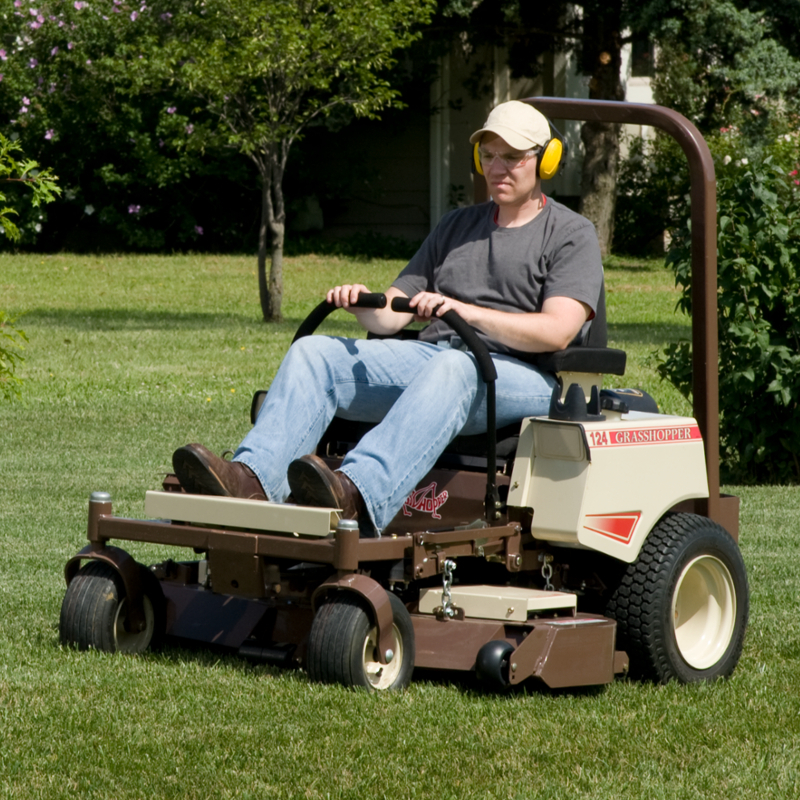 MidMount™ Front Caster Wheels 13x5.00x6; pneumatic with greasable, double-sealed bearings to protect from grass wrap. 13x6.50x6; pneumatic with greasable, double-sealed bearings to protect from grass wrap. 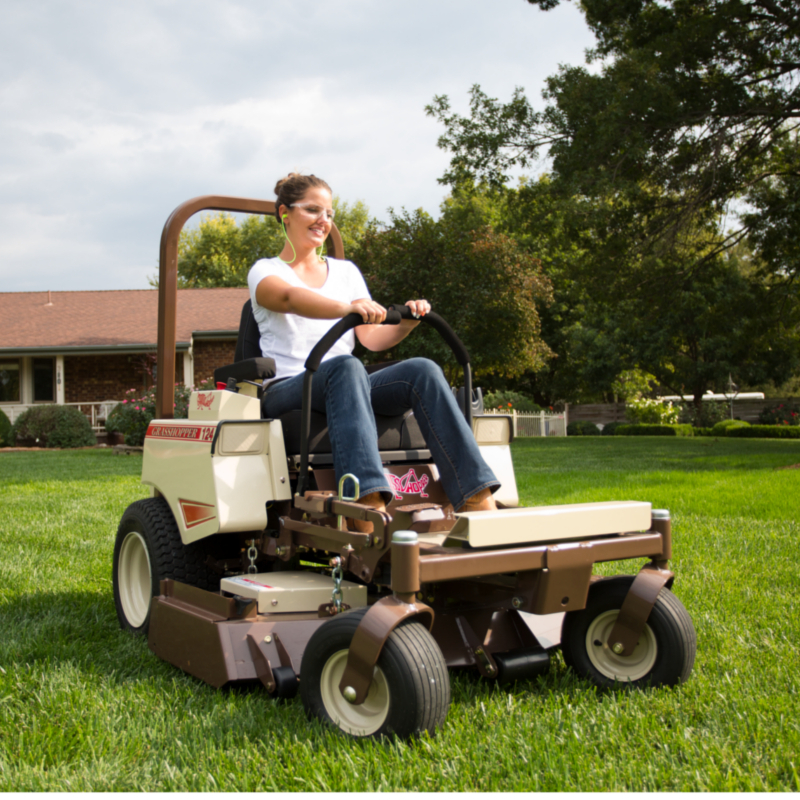 Country Gardens Roxboro is your authorized Grasshopper dealer selling and servicing the complete line of Grasshopper MidMount™ and FrontMount™ mowers for turf care professionals, business and government entities, and homeowners.